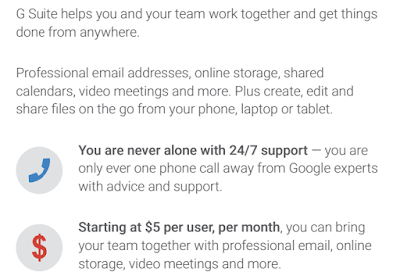 Looking for a promotional code to use with your G Suite? 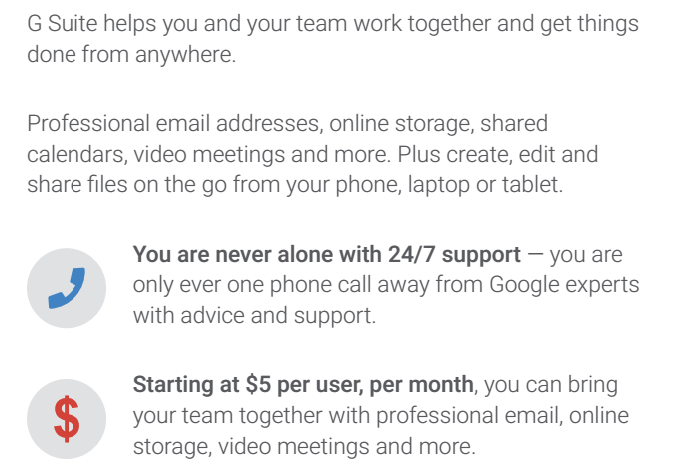 Well, Google’s G Suite are currently offering provides 20% off the first year using the promotion code below. 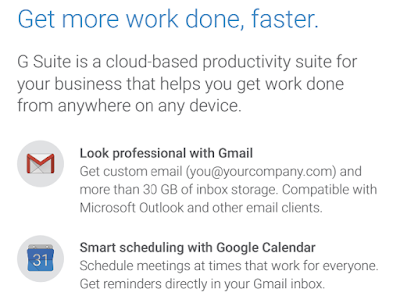 G Suite is also previously known as “Google Apps for Work”. Get started now and save. Here are a couple of G Suite promotional codes* for you. Each promotion code provides 20% off the first year. One code will work per domain so your can get a discount on your G Suite account. Please feel free to reach out to me if you’d like more promo codes, as I can share more if you need them. Here are 2 promotion codes I can share with you. *Not these are coupon codes are and only work for businesses located in Singapore. How do I use G Suite? I have been using G Suite at my last few companies (multinational and two startups) and think other businesses can benefit from it too. You can use Gmail, as well as Google Calendar, Drive, Docs, and other tools that allow you to get things done from anywhere on any device. 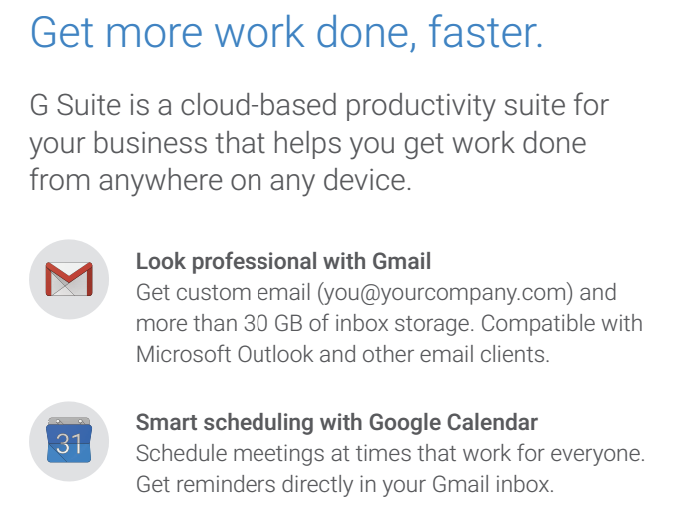 G Suite is offering a free 30-day trial. Sign up using my referral link above (message me directly if you need more) to get a promotion code for 20% off your first year. Click here to get started: Sign up now so you don’t miss out. Want to learn more about G Suite? *Please reach out to me via mailforvu(at)gmail.com if you’re interested and these codes promotional may have been used already. You’ll also find more recent promo codes on my G Suite Basic vs G Suite Business plan post here.